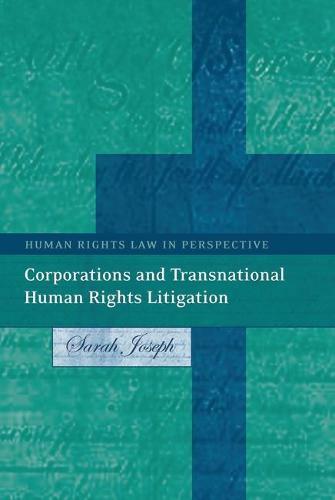 Since the mid-1980s,beginning with the unsuccessful Union Carbide litigation in the USA, litigants have been exploring ways of holding multinational corporations [MNCs] liable for offshore human rights abuses in the courts of the companies' home States. The highest profile cases have been the human rights claims brought against MNCs (such as Unocal, Shell, Rio Tinto, Coca Cola, and Talisman) under the Alien Tort Claims Act in the United States. Such claims also raise issues under customary international law (which may be directly applicable in US federal law) and the Racketeer Influenced and Corrupt Organizations [RICO] statute. Another legal front is found in the USA, England and Australia, where courts have become more willing to exercise jurisdiction over transnational common law tort claims against home corporations. Futhermore, a corporation's human rights practices were indirectly targeted under trade practices law in groundbreaking litigation in California against sportsgoods manufacturer Nike. This new study examines these developments and the procedural arguments (eg regarding personal jurisdiction and especially forum non conveniens) which have been used to block litigation, as well as the principles which can be gleaned from cases which have settled. The analysis is important for human rights victims in order to know the boundaries of possible available legal redress. It is also important for MNCs, which must now take human rights into account in managing the legal risks (as well as moral and reputation risks) associated with offshore projects.